Choosing where you’re going to stay on your trip isn’t something that should be left to chance. The accommodation you choose can make or break your vacation. 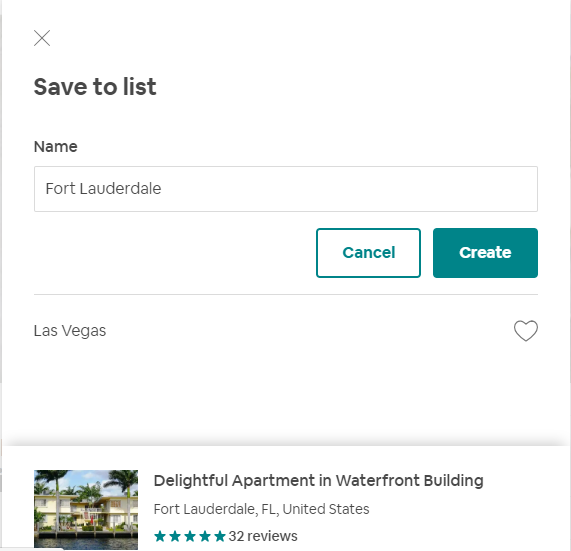 More and more people are using Airbnb (and similar sites) to make their accommodation plans and it’s important to spend some time making sure you’ve got the perfect place. You’ll probably start with a general search and whittle things down to the most obvious choices. Do you want to stay in a private room, or an entire home? Budget travellers can even choose a shared, hostel-type room. Most guests will opt for an entire place though – an apartment, house, guest suite, yurt, vintage trailer, gypsy caravan – there are so many options. Once you’ve found a few that you like, and that match your needs, then the next step to ensure that you can study and compare them, is to create a list of these places. You do this simply and the process is shown below. The image above shows what you’ll see once you’ve clicked on the greyed-out heart. You have the option to create a name for your list. 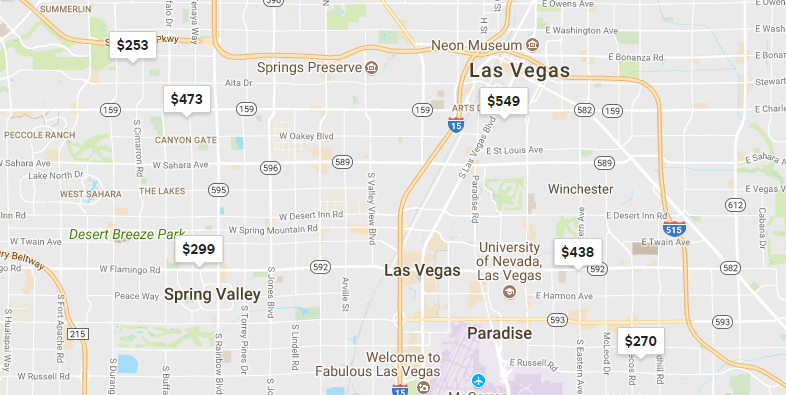 Most people will use the place name of their planned destination (Las Vegas, for example). But you can call it whatever you wish (Boston Trip 2019, Summer Road Trip, Places Near Ginnie’s Home – you decide). 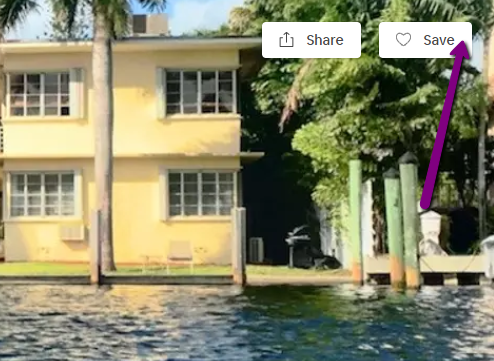 Above you’ll see that I’ve created a new list called ‘Fort Lauderdale’ and the only thing I have to do now is click the ‘create’ button. Now I can go to my list and see all my shortlisted choices together on the same page. You still have to click through to read the full details but you’ve broken down your selections to help you choose between them. You can also share your shortlist with others which can be useful when planning your trip. 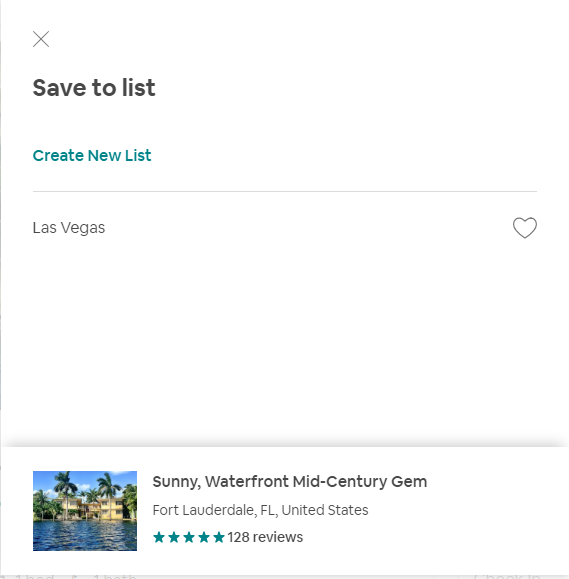 This is a great way to evaluate the whereabouts of each listing and remember that you can zoom in or out to see further details. This means that you can research the neighbourhood, find out where each listing is in relation to the airport/art museum/beach/conference centre or whatever is important to you, check what public transport is like near each place, research nearby restaurants or coffee shop and other information that will help you make the right choice. Trending Now : Visiting India: What is a Stepwell?